The Scoop: Online business can be very competitive in this day and age of technology. Marketing is what makes your offline business improve. Therefore, you should also utilize digital marketing for your digital business. We all know that a business cannot survive without customers. One of the many ways to get customers to your business is to do marketing. However, how you do marketing in the real world somewhat differs from how you do marketing in the online world. Digital marketing is never easy. Although, when you have enough patience and effort, you will be able to reap the benefits of what digital marketing can give. Don’t start digital marketing when you don’t even have a website. Only 11% of Americans are not using the internet and the rest are internet users who are engaged in businesses that are online. Your digital marketing venture should start with your website. 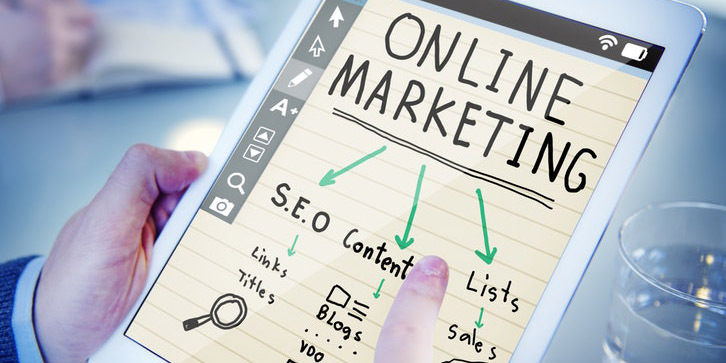 Here’s how you utilize digital marketing to boost your business in the online world. Your website is your business on the internet. However, you don’t have any employees waiting there to assist customers. Therefore, you have to make your website user-friendly by implementing proper site structure. If you are offering a lot of services to your customer, make sure that they can easily navigate and find what they are looking for on your site. You can do so by incorporating proper categories, product types, and breadcrumbs. Just because you have a website, you can design it with whatever you want. Unless that is a personal blog, then go ahead. However, when making a business website, you better think about the design of your website carefully. It should be pleasing to the eye that will catch your customer’s attention. However, it would also be readable and functional as well. The usual advertising is becoming a thorn in people’s side nowadays. Especially, to Millennials, who perfected the art of escaping, ignoring and skipping ads. People wanted to get something as well when they look through ads and not just give their money to companies. To compromise, blogging for digital marketing is born. Create a compelling blog that highlights your product or experience to attract those customers! Search Engine Optimization is one of the most important elements to consider when you are doing digital marketing. If the blog is the one that attracts customers, you may want to attract the search engine’s attention to get it to the top spot of the search results. And that’s where SEO comes in. Do this by improving your site’s page load, structured data, keywords, and user-friendly URLs. Another way to get your business noticed is to interact with people. Develop your company voice and begin to mingle with your potential customers on social media. Make sure that you are building your company presence where you can find most of your target customers. For example, Wendy’s is killing it when it comes to Twitter with her savageness and her fans love her for it. Nothing is easy in business though. Moreover, results won’t immediately come to you for the first few months. As mentioned before, it takes time, effort, and patience before you will be able to get the results that you wanted. So are you ready to get your digital marketing going? Check us out for more tech reads! Prepare for Battle with Fortnite’s New Game Mode and Map! Oculus Rift Headsets Gone Offline: Fix Released with $15 Credit!